The following are National Electrical Code (NEC) references with regard to maximum voltage drop: branch circuits NEC 210.19(A)(1), feeders NEC 215.2(A)(4), sensitive Electronic Equipment NEC 647.4(D) and other considerations. NEC 210.19(A)(1) Informational Note No. 4 limits the voltage drop at the furthest outlet of a load to 3% of the applied voltage. This allows 2% drop in the feeder. Alternatively, the maximum combined voltage drops on the feeder and branch circuits going to the furthest outlet of a load should be limited to 5%. This means the feeder could have 1% Vdrop if the branch had no more than 4%, or any other combination of feeder and branch voltage drops that did not add up to more than 5%. For example, if a panel board is located adjacent to the transformer feeding it, one might assert that there is nominally 0% voltage drop in the short feeder from the transformer secondary to the adjacent panel board, thus leaving the full 5% voltage drop for use on the branch circuits powered from that panel board. NEC 215.2(A)(4) Informational Note No. 2 also limits the voltage drop at the furthest outlet of a load to 3% of the applied voltage. This allows 2% drop in the feeder. Alternatively, the maximum combined voltage drops on the feeder and branch circuits going to the furthest outlet of a load should be limited to 5%. This is the same requirement stated above for branch circuits. NEC 647.4(D) covers the use of separately-derived 120 V, single-phase, three-wire systems with 60 V between each of the two hot conductors and the neutral, similar to the 120/240V service to our houses, but at half the voltage. This NEC article limits the voltage drop on any branch circuit serving sensitive electronic equipment to 1.5% of the applied voltage. Alternatively, the maximum combined voltage drops on the feeder and branch circuits going to sensitive electronic equipment should be limited to 2.5%. These values are half of the values given for feeders and branch circuits. These special electrical systems typically used for sensitive audio/video or similar types of electronic equipment and are only allowed in commercial or industrial occupancies and are not discussed further in this course. A 3% voltage drop on a single-phase, 120 VAC system would be 0.03×120V = 3.6 V. Similarly, a 2% voltage drop on a three-phase, 480 VAC system would be 0.02×480V = 9.6V. The main concern of voltage drop calculations is to make sure the load has enough voltage to function properly. For example, a motor on a 480 VAC system is rated to operate at 460 VAC system, and there is even a tolerance around that lower voltage at which the motor will still start and function properly. NEC 90.5(C) states that explanatory information provided in the Code, such as Informational Notes, are not enforceable as Code requirements, so voltage drop recommendations that appear as Informational Notes in the Code are not enforceable. They are usually required and expected, however, on most projects, for conductor run lengths that merit consideration: Consider the Rule-of-Thumb below. 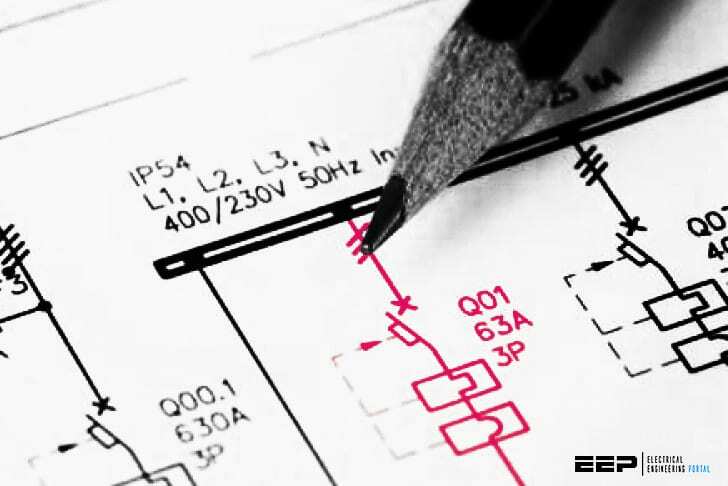 It is important to note that the voltage drop requirement for Sensitive Electronic Equipment in NEC 647.4(D) is a code-enforceable requirement, not an Informational Note. A common rule-of-thumb that many people use to determine whether or not a voltage drop calculation is required is to compare the one-way cable length in feet to the applied voltage. If the one-way cable length in feet is almost or more than the value of the applied voltage, then a voltage drop calculation should probably be considered. Great arrivals and posts. I look forward to them everday!